Wednesday May 17th was a tough day for those of us who were seeking to override the Governor’s line item reductions in funding in our budget. Those reductions will affect Medicaid, Behavioral Health services, services for individuals with Developmental Disabilities, parole, and our problem solving courts (Drug Courts and Veteran Courts). The Appropriations Committee usually brings a package of proposals to the floor of Governor reductions they ask the Legislature to override. Often this package gets approved by the body. This year that did not happen. In addition to the override package from the Appropriations Committee, individual senators can move to override specific line item reductions. This year a few senators not on the Appropriations Committee identified other specific items to attempt to restore back to the level of the budget that was passed by the Legislature. We had individual motions to restore cuts in university funding, child welfare funding, juvenile justice services, and problem solving courts. I brought a motion to overturn the $1.2 million dollar cut in Child Welfare Services. During our debate we received a communication from the Division of Family Services that they expected to save $1 million dollars through a new drug testing program that would allow the $1.2 million cut to not reduce other Child Welfare Services. Although we are skeptical of these numbers on their face, we put on the record this expectation and the expectation that members of the Appropriations Committee and Health and Human Services Committee would be watching to make sure that this cut did not impact Group Homes and Family Services. In the end, none of the veto overrides were successful. One of the most disappointing patterns I have noticed during this difficult session is the refusal of the Governor and many other senators to take a more balanced approach to the state budget during these tough economic times. Instead of considering new sources of revenue, they have continued to rely only on budget cuts. These cuts are targeted at our most vulnerable citizens and the hard-working providers who valiantly serve these families day after day for fees that do not cover their costs. It was heartbreaking that none of the veto overrides, which would have only kept these provider fees flat, succeeded. As I noted on the floor, surely the safety of our children who have been subject to abuse and neglect, those with disabilities, and those who are ill is a core government function. You can read the World Herald article about our floor debate on these cuts here. On Thursday May 18th we heard the last batch of bills on Final Reading for this session. This included two bills that generated much controversy and rigorous debate over the session. LB415 was a package of bills from the Retirement Committee. This bill came to the floor with draconian restrictions on the activities of retired teachers after retirement. After much discussion on the floor and off the floor about the rights of retired teachers and the substitute teacher needs of schools, the final version of this bill eliminated all changes to policies for the volunteer and paid work activities of teachers after retirement. This bill passed 46-0-2 during final reading. Another bill that consumed much of my time over the session was LB333. This was originally a bill to eliminate the State Disability Program. I pushed hard against this policy change. The State Disability Program provides a bridge for newly disabled individuals between the first six months of their disability, when they must rely on local and family resources, and their twelfth month when they can qualify for federal assistance. The state program helps provide support during this 6-12 month window. Once individuals qualify for federal assistance, we (the state) get reimbursed for some of our expenses paid out to these individuals during this timeframe. There is a net cost to the state for this program because not all newly disabled individuals qualify for federal support and some newly disabled individuals are only temporarily disabled and so they don’t need the support past the 12th month. The small savings to the state budget for cutting this program, though, would cut a much larger amount of services to families in our communities and put those families and our local safety nets and hospitals under an additional strain. The chair of the Health and Human Services Committee put a committee priority on LB333. Since this bill had a priority, it had a path to the floor. It was then used as a vehicle to get two other bills related to services for individuals with disabilities. However, by final reading, we were successful in getting this part of the bill pulled out of the bill, so our State Disability Program remains in place. One of the bills included in the LB333 package was LB495. As this bill was originally written it would have eliminated our existing law that ensures that individuals with developmental disabilities who receive services in our high schools continue to receive day services upon graduation. This maintains continuity of services to young adults with developmental disabilities in our state. This policy creating an entitlement for these high school graduates was originally put in law in the 1990s, however, the Division of Developmental Disabilities was recently notified that they needed to make changes to how the program is administered to be in compliance with federal funding rules. In order to maintain our current federal funding that we receive for our programs it is required that those with the most immediate needs (like those experiencing homelessness or hunger) are given first priority status by law. After many hours of hard work and meetings, we were able to pass an amendment that adjusted the language in our statutes that allows the Division to use the required prioritization needed to meet federal funding requirements while retaining our commitment to providing services to these high school graduate. LB333 also included a provision that was originally found in LB417 to eliminate Quality Review Teams. QRTs were developed to allow families and advocates to give input on the quality of services being provided to individuals with developmental disabilities. After being amended on the floor, the final version of this language requires the Division to report their plan for replacing QRTs with a new review and input process by September and then report to the Legislature on their progress in implementing this process in December and again in March. This reporting timeframe gives us a chance to tackle this issue again next year during our session if needed. I am willing to give the Division a chance to develop and present their plan for an updated version of quality control for these important services. The first thing we did on Thursday was address a large number of Confirmation Reports. In Nebraska, the Governor has the power to appoint leaders for many of the state agencies, boards, and commissions. Those organizations may be as large as DHHS and the Department of Education, or as small as the Brand Committee and the Boiler Safety Code Advisory Board. Each time the Governor makes such an appointment or reappointment, the person’s application must be sent to the Legislature to be confirmed. Confirmation hearings are held by the standing committees, and follow the same process as bills: the appointee appears either in person or by phone to answer questions from senators on the committee, after which members of the public are invited to testify in support, opposition, or a neutral position on the appointment. The committee then votes on whether to send the appointment to the full Legislature, which must vote on final confirmation. Most appointments are approved with little fuss, as those appointed are generally well-qualified for their roles. Still, it is an opportunity for the Legislature to vet executive appointees and for the public to weigh in on the people who will lead the state agencies and organizations with whom they interact. This week we had a flurry of last minute confirmation hearings. I had two over lunch on Wednesday and one in the morning before session on Thursday. Appointing individuals to serve on these boards and commissions is an important way to allow citizens across the state to bring their expertise to bear on policies and decisions made by our state government. I encourage you to consider serving, and to occasionally check the Governor’s webpage to see if there is an opening that is a good fit for you. A list of current vacancies and the application form can be found here. Though the Legislature will end the 2017 session next week, we will not be idle over the interim. Between now and January, when the 2018 session begins, two types of work will take priority: interim studies and special committees. As I mentioned last week, interim studies are an opportunity for senators to learn more about specific issues. Formal interim studies have several advantages over a senator simply looking into an issue on their own. For one thing, the list of interim studies is published; that means that people can learn about the study more easily, which can draw in a wider range of expertise. Experts in a subject can reach out to the introducing senator independently, which they would not know to do without the study being shared. That is beneficial because many interim studies will prompt new legislation, and it’s helpful to have potential problems or improvements pointed out before a bill is introduced. My three interim studies this year address training and retention of legislative committee staff (LR199); demolition of condemned properties and the impact on municipalities (LR138); and state immunization rates (LR147). I encourage you to look over the interim studies to see if there are issues on which you would like to be engaged over the interim (you can find the full list here). Special committees are a related but distinct way to study an issue. The special committee structure is useful for more complex issues that may be too large for a single senator or a single committee to undertake successfully. For example, I was appointed to the Economic Development Task Force earlier this week. That committee will study Nebraska’s economic development challenges and opportunities. The Economic Development Task Force brings together leadership from various committees that all relate to economic development (Revenue, Banking and Commerce, Urban Affairs, Education) as well as three other senators, one from each congressional district. I am pleased to have been appointed to serve on this taskforce as the CD 1 representative. Special committees can last more than one interim, so they can take a more long-term approach to their target issue. One recent example of a multi-year committee that has impacted policy in the state is the Intergenerational Poverty Task Force. The legislature can also create investigative committees to oversee specific state agencies and projects. Previous investigative committees have looked into ACCESSNebraska, developmental disabilities, and corrections, to name a few. This year Senator Bob Krist has introduced a resolution to reform a Corrections special oversight committee, known as the Nebraska Justice System Special Investigative Committee (LR127). The Executive Board voted to send LR127 to the full legislature, where it needed to receive 25 votes in order to be created. On Thursday morning we voted to amend this to an Oversight Committee as opposed to a Special Investigative Committee. The resolution passed 28-11-9, so this committee will be working on these issues over the interim. One of the Sine Die traditions in Nebraska is a fun event near the end of session in which staff and senators poke fun at themselves with skits, video clips, and songs. This year this event was Thursday night. It is a fun tradition and a good way for us to realize that no matter how intense debate gets day to day, we are all in this together–and we all have plenty of quirks and bloopers. 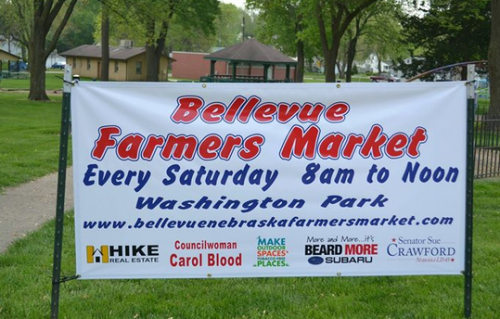 I am proud to be a sponsor of our Bellevue Farmer’s Market. This Saturday is the first week of the market, which will run through mid-September. The market takes place in Washington Park. You can learn more about the market’s many products and vendors here. You are welcome to come visit my Capitol office in Lincoln. My new office is room 1016, and can be found on the first floor in the northwest corner of the building. 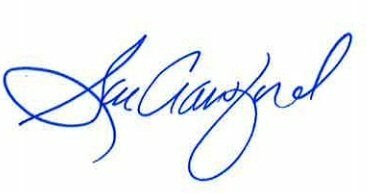 You can also follow me on Facebook (here) or Twitter (@SenCrawford). In addition to keeping followers up to date on my work in the legislature, we also regularly post a “Today in the Legislature” feature that lists some of the issues before the Legislature that day.